Internet users are now able to take a virtual tour of the houses and estates that belonged to Tolstoy, Chekhov, Pushkin and other writers. RBTH explores the highlights. On June 16 Google launched its new project Literary Russia, which is part of the Year of Literature. 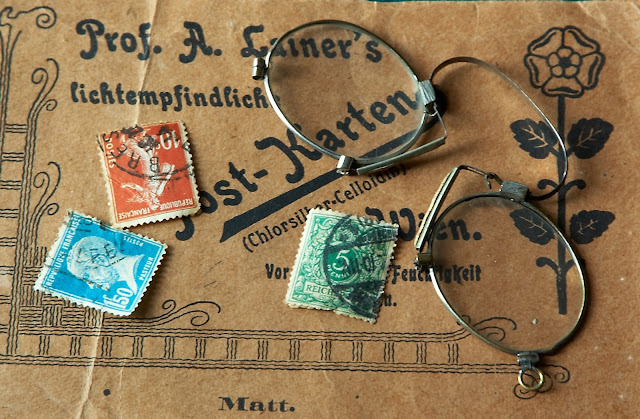 The project gives readers the opportunity to take a virtual tour around the estates of famous Russian writers and poets. The Zakharovo and Vyazemy estates are Pushkin museums in Moscow Region, where the Russian poet spent his childhood. It was here that the creator of modern Russian literature and author of the renowned novel in verse Eugene Onegin wrote his first poems. 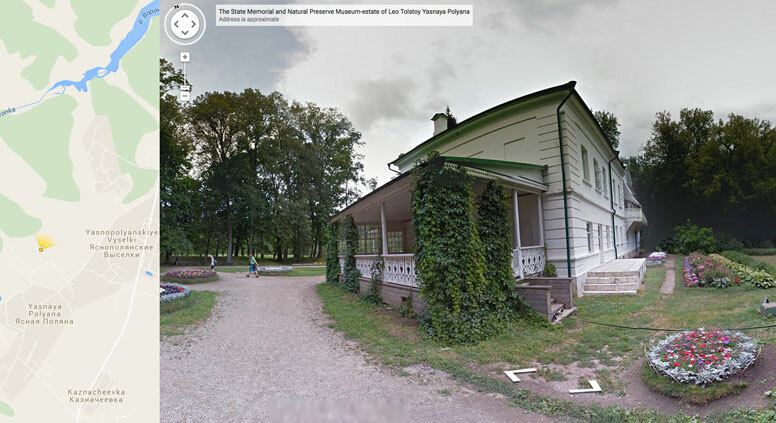 Google’s panoramic view allows you to walk through Zakharovo, which belonged to Pushkin’s grandmother Maria Gannibal, and through an old park in the Golitsyn family estate, Vyazemy, where the young Pushkin used to walk. You can also take a look inside the 18th-century palace. Melikhovo, also in Moscow Region, is the estate where famous writer and playwright Anton Chekhov lived and worked from 1892 to 1899. A virtual tour allows you to visit the writer’s house and an outbuilding where he wrote his play The Seagull. Yasnaya Polyana in Tula Region is the family home of Leo Tolstoy, who wrote the world-famous novels War and Peace and Anna Karenina. Fyokla Tolstaya, a descendant of the writer, said that Internet users can see and love Yasnaya Polyana in the same way that her great-great-grandfather did. “I hope that this virtual tour of the estate and the opportunity it presents to get to know the history of the famous Tolstoy family will make people want to read Tolstoy and maybe to visit Yasnaya Polyana to see where he actually lived and worked,” Google quotes Tolstaya as saying. The poet and diplomat Fyodor Tyutchev is perhaps most famous for his short poem that asks “Who would grasp Russia with the mind?”, and suggests that “Her soul is of a special kind,/ By faith alone appreciated.” The Muranovo estate in Moscow Region is the main place where his legacy is being maintained. Besides the Google panoramas, the museum is represented by a unique virtual photo exhibition called 'Muranovo: Life in the Estate', where you can see digitalized archive photos from 1890-1910, including some taken by Tyutchev himself. The house museum of Mikhail Lermontov, Romantic poet and author of the renowned novel A Hero of Our Time, in Moscow is a small wooden one-story building with a mezzanine. The young poet spent three years there, and it was where he wrote his first poems and realized that literature was his main calling. The virtual exhibition contains personal documents and manuscripts belonging to Lermontov that give an insight into his life in Moscow and first poetic success. The house museum of Alexander Herzen, revolutionary and writer, is situated in an alleyway off Moscow’s Arbat Street and conveys everyday 19th-century noble life. Internet users can see unique portraits of Herzen and his family, household goods, rare books and Herzen’s hand-written manuscripts. Mikhail Prishvin was a writer who was famous for his works on nature, and his house museum, which is situated in Dunino near Moscow, gives a window into his thoughts and feelings. The exhibits tell the virtual visitor about his interests and habits, and are also accompanied by extracts from his posthumously published diary. One of the most important places in the house is Prishvin's cabinet, which holds his personal library, hunting rifle and photographic apparatus. The digitalized estates and house museums of Russian writers supplement the online Literary Moscow collection, which features digitized versions of Moscow's leading literary museums. These include the State Literary Museum and museums dedicated to Alexander Pushkin, Vladimir Mayakovsky, Nikolai Gogol, Mikhail Bulgakov, Sergei Yesenin, Konstantin Paustovsky and Alexander Ostrovsky.